I now proudly present a "card trick" I named Torzsch. This is a very effective and special move that will come in handy for you as a MAGICIAN who loves card magic. This is NOT just a CARD CHANGE -- this technique can be used for other card routines and combinations. A card routine where a card placed in the middle of the deck magically becomes "trapped" between two Jokers. "Ornament X-Sandwich" is different from other effects because there is one card selected at random and the card found by the magician is NOT the chosen card. Then the MAGICIAN shows this card to be sandwiched between 2 Jokers. INSTANTLY (in just 0.3444 seconds), this card CHANGES and becomes the audience's originally chosen card! Here is a simple but amazing card routine you will learn. First the audience is shown there are two cards -- the first is the Joker, the second is the 9 of Hearts. Without having to cover all parts of the 9 of Hearts (you show approximately half of the card), using Torzsch, in just 0.3444 seconds, the card turns into the 9 of Clubs or another card, as you desire. Imagine displaying a box of Bicycle cards along with the removed cellophane. Using only Torzsch, in just 0.3444 seconds, the card box turns into a deck of cards! DOWNLOAD IT NOW TO START LEARNING! 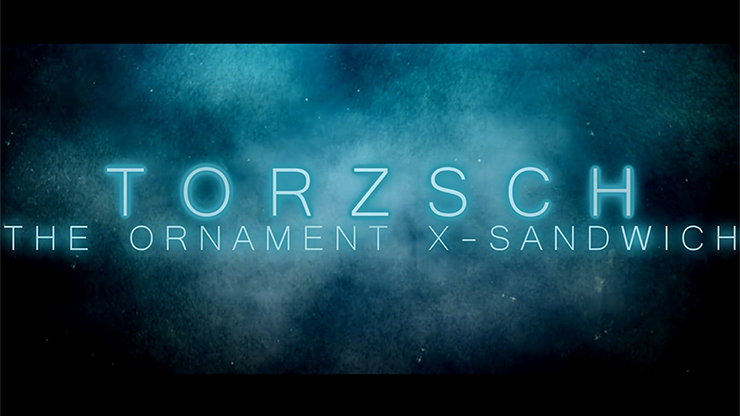 Torzsch (Ornament X-Sandwich) by SaysevenT video DOWNLOAD I now proudly present a "card trick" I named Torzsch.